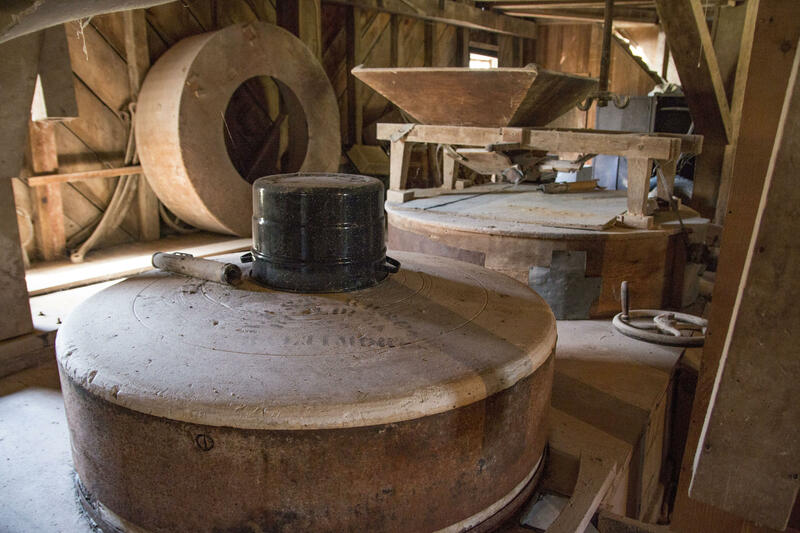 A hundred years ago, gristmills weren’t just a place where people went to get cornmeal and flour, they were also gathering places for communities. But supermarkets replaced the local gristmill economy, and few working mills are still in operation today. One of West Virginia’s last remaining gristmills, Reed’s Mill in Monroe County, was placed on the list of endangered properties by the Preservation Alliance of West Virginia last year. The man who owns this mill, Larry Mustain, is wondering how long he can continue to keep his family’s business going. Like so many people who grew up in West Virginia, Mustain said he had to leave the state to see the region’s real value. Mustain returned to West Virginia in 1975. He and his uncle, Orbrey Reed, farmed together, and Mustain spent a lot of time helping his uncle inside the mill. When his uncle passed away, Mustain decided to follow in his footsteps and takeover the mill. The creek that runs behind the mill, and which used to power the stone grinder, begins at the top of Peter’s Mountain. “This creek is unbelievable. It rises out of springs out of Peter’s Mountain,” Mustain said. This small but mighty creek once powered dozens of mills. Today, only Reed's Mill remains. Mustain grinds and sells a special heirloom cornmeal, called Bloody Butcher. 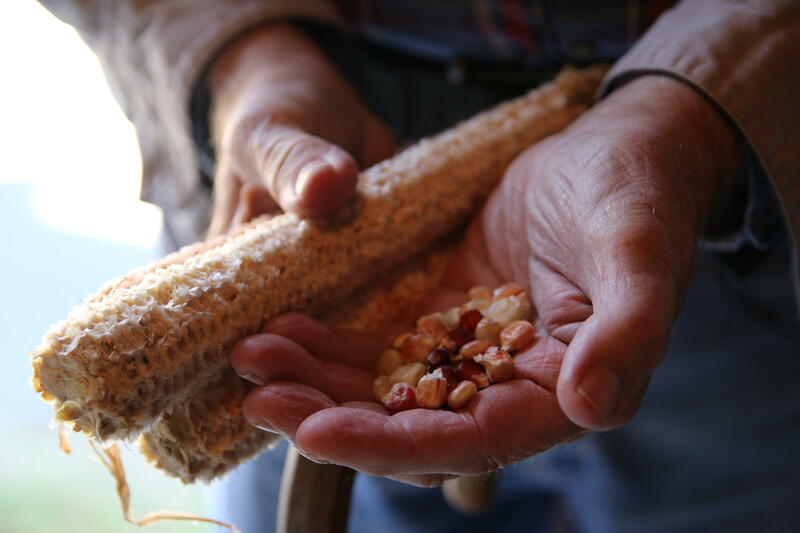 This corn has been passed down for generations, just like the mill. “It’s an open pollinated corn, you just plant it over and over.” Mustain's uncle had a formula for selecting the corn that he would plant each year. “So many red, so many yellow, and I should have [written] all that down. But even though I was in my 40s and 50s, after I came back here, I guess I just always thought he would be here,” Mustain said. Mustain is in his 80s, and he keeps this mill going the best he can. But he’s getting older, and he says he’s not sure who will be here to help take over the mill after him. He has hopes that someone in his family, maybe one of his sons, will decide to take it on. But he’s not ready to quit yet. Today, he grinds cornmeal and flour with an electric stone grinder. But his dream is to see the millstones up and running again, so the mill will grind cornmeal the old-fashioned way. And he might be getting some assistance from the Preservation Alliance of West Virginia. 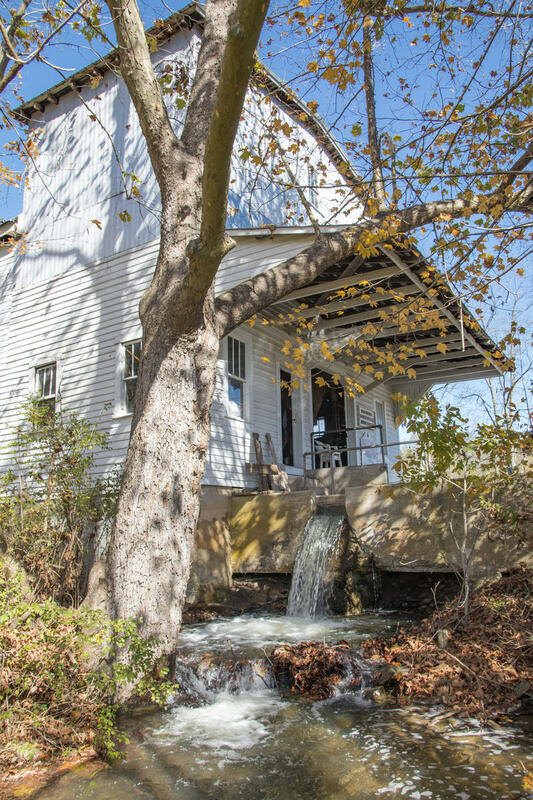 In 2017, the group listed Reed’s Mill as one of the top endangered properties in West Virginia. This designation is meant to highlight the risk of losing the property, and to attract attention from the public and encourage others to help restore the building. The group offers a 20 percent loan guarantee on renovation projects, which basically means they would assume part of the debt if a borrower defaults on a loan. If Mustain switched the mill to a non-profit business, he would be eligible for more assistance to help maintain and renovate the building. For now, Mustain said he’s happy just to continue grinding. Mustain sells heirloom cornmeal, whole wheat flour, and, another West Virginia specialty, buckwheat flour. Although drop in customers can sometimes find the mill open as they pass through Monroe County, Mustain recommends people call ahead, to make sure he can give visitors a tour. Larry Mustain can be reached at 304-772-5665. In October 2018, this video was screened at a live event in Beckley, West Virginia. Larry Mustain spoke with Inside Appalachia host Jessica Lilly about his response to the video, and his expectations for the future of his mill.